Celldweller - Weaponized [Osu|Taiko] · forums · community | osu! Is that a motherfucking PUBG reference? Last edited by Hiicantpk March 31, 2019 at 12:41:14 PM GMT , edited 63 times in total. Your audio file's bitrate is too high. Its bitrate is 320kbps while the maximum allowed bitrate is 192kbps. Consider compressing it or re-retrieving it at a lower quality. Your stack leniency is too low. Your offset seems to be off. It seems to be late. Around 861 is more appropriate, but you should probably test more for the exact offset. 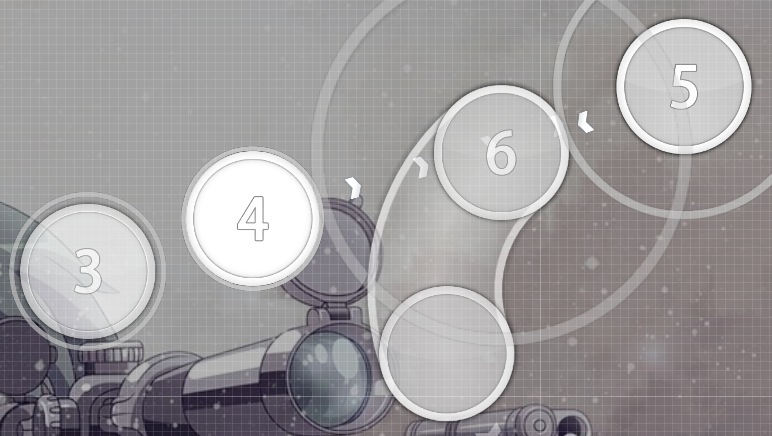 00:53:670 (1,2,3,1,2,3,1) - You should probably remap this using more reversing sliders instead of so many circles since this section has such a sharp difficulty spike compared to the rest of the map. 00:01:470 (2,3) - Consider placing the circle farther away from the slider since it may confuse the player at 00:20:070 (1,2) - because it is a similar pattern but the timing is drastically different. The pattern on its own would be okay, but since there can be confusion with later patterns it should probably be changed. 00:03:870 (2,3) - Same as above. 00:36:270 (5,1,2) - These overlapping slider heads are probably too confusing for a normal difficulty. 00:36:270 (5,1) - The body of slider 5 overlaps the body of slider 1 and it ends on the start of slider 1, this definitely can cause confusion. 00:18:270 (2,1) - The gap between these two objects might confuse players into thinking the second object it is sooner than it really is. 00:58:170 - There might not be enough time for the player to recover at the end of the spinner here. 00:54:870 (1,2,3,4,1,2,3,4,1) - The stream here is probably spaced too much for a Insane difficulty. I would have said stuff about the other streams, but they are too short to really complain about. Your offset seems to be off. It seems to be late. Around 861 is more appropriate, but you should probably test more for the exact offset. I'll get more opinions on this, but I think its fine as is. 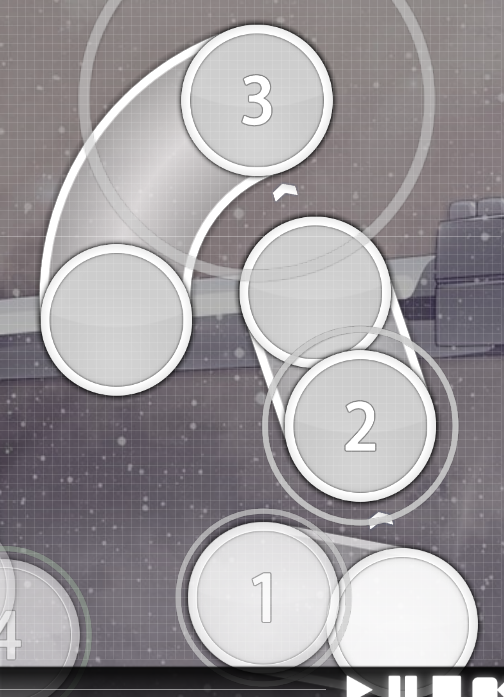 00:53:670 (1,2,3,1,2,3,1) - You should probably remap this using more reversing sliders instead of so many circles since this section has such a sharp difficulty spike compared to the rest of the map. Its the most intense part in this section, and I still think Easy level players can manage this. "Hitobjects directly after spinners are fair game for Hard/Insane difficulties, but try to give a nice pause for Easy/Normal difficulties". 00:54:870 (1,2,3,4,1,2,3,4,1) - The stream here is probably spaced too much for a Insane difficulty. I would have said stuff about the other streams, but they are too short to really complain about.This isn't a stream? 00:41:670 (1,2,3) - possible to give this a bit of an angle as you have done so at 00:39:270 (1,2,3) - , 00:44:070 (1,2,3) - , etc. 00:14:070 (6) - whistle at slider end is rather obnoxious since there's no beat on that tick. 00:21:270 (1,2,3,4) - you usually use equilateral triangle placement for this pattern. perhaps you would like to ammend that or at least make the DS all consistent here? 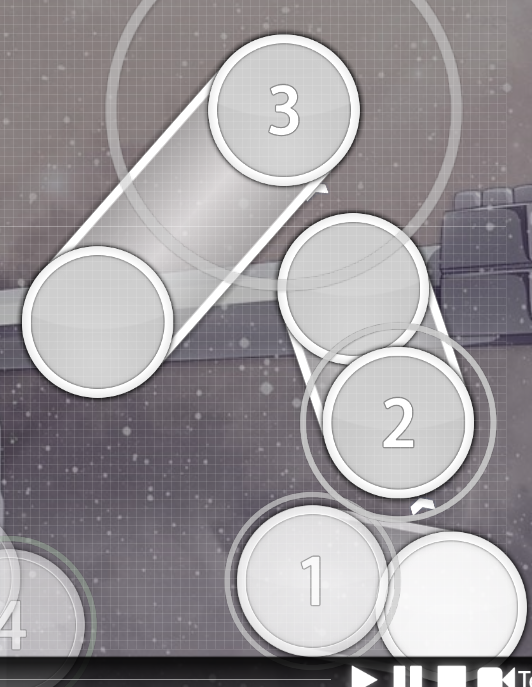 00:42:270 (5,6) - only slider not blanketing the circle in this section? 00:50:070 (1,2,3,4,5) - this pattern is not like the other regarding the placement of the slider .-. 00:18:870 (2,3) - not fond of this rhythm choice, the gun(?) noises are on the 1/3 ticks so the current rhythm mapped isn't a very accurate representation of the beat. I recommend simply changing it to a 1/1 slider to solve this Did want 00:19:470 (3) - to be clickable so just put two 1/1 gap circles instead. 00:27:270 (1,2) - what about a 3/2 slider then a 1/1 slider? I think that would represent the music better You're right. That works. 00:41:670 (1,2,3) - possible to give this a bit of an angle as you have done so at 00:39:270 (1,2,3) - , 00:44:070 (1,2,3) - , etc. Yep. I've also noticed that after 00:29:670 (1) - , your 1/2 spacing has decreased by quite a bit. e.g. 00:29:670 (1,2) - vs. 00:20:070 (1,2) - . Dunno if that's intentional or not but it's causing problems(?) with related spacing e.g. 00:29:670 (1,2) - spacing here seems rather similar to 00:30:720 (4,1) - despite rhythm being different I originally mapped this diff as a collab, but then did it all myself instead. The second section was more in line with what the collaber made, but I didn't change it after i mapped in his sections. Will fix the spacing on 1/2 gaps. 00:21:270 (1,2,3,4) - you usually use equilateral triangle placement for this pattern. perhaps you would like to ammend that or at least make the DS all consistent here? Oops, fixed. 00:42:270 (5,6) - only slider not blanketing the circle in this section?I'd have to rework this individual one to blanket, too close to the edge of the screen. 00:06:270 (3,4,5) - be careful with DS Oops, fixed. 00:08:070 (1,2) - this 1/2 jump has the same spacing as the previous 1/4's which could trick people into thinking it's another 1/4; if that was the intention then that's evil fine. Else you might just want to either stack those two notes or turn it into one slider. [*]00:08:070 (1,2) - this 1/2 jump has the same spacing as the previous 1/4's which could trick people into thinking it's another 1/4; if that was the intention then that's evil fine. Else you might just want to either stack those two notes or turn it into one slider. That was the intention, yes. [*]00:01:020 (2,3,2,3,2,3) - you might want to put the 3rd note back where the first note is like in AWM, having the exact same spacing with this triangle shape and the different spacing just looked really off to me. that's just me being picky though Also intentional. Sorry if you don't enjoy it. 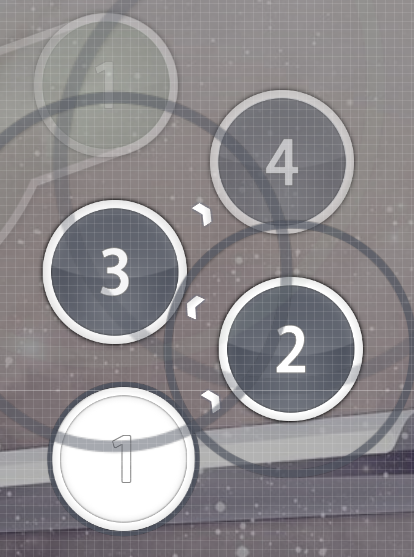 [*]00:35:670 (1,2,3,4) - probably should move the slider down a smidge to emphasize that it's not a 1/4 jump. 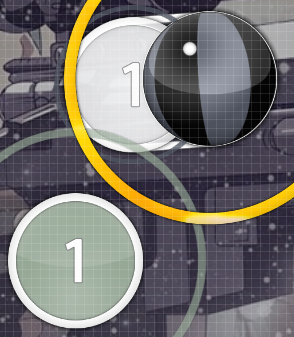 rip overlap tho NC'd it instead. 00:08:070 (1,2) - If you're trying to emphasize the gun cocking, I suggest that you make it a 3/4 slider instead. It is spaced similarly to 00:05:670 (1,2), making it seem like another half beat jump. 00:23:670 (1,2,3,4) - These jumps are the same as 00:21:270 (1,2,3,4) but 00:23:670 (1,2,3,4) are landing on smaller sounds. The jumps should be different in some way. Same with 00:30:870 (1,2,3,4), but I think that's a different case since the small sounds came first. That's all my small mapping mind can help you. 00:23:670 (1,2,3,4) - These jumps are the same as 00:21:270 (1,2,3,4) but 00:23:670 (1,2,3,4) are landing on smaller sounds. The jumps should be different in some way. Same with 00:30:870 (1,2,3,4), but I think that's a different case since the small sounds came first. I think its fine to map these two the same way. Even if they're not the identical sounds, they are pretty similar. 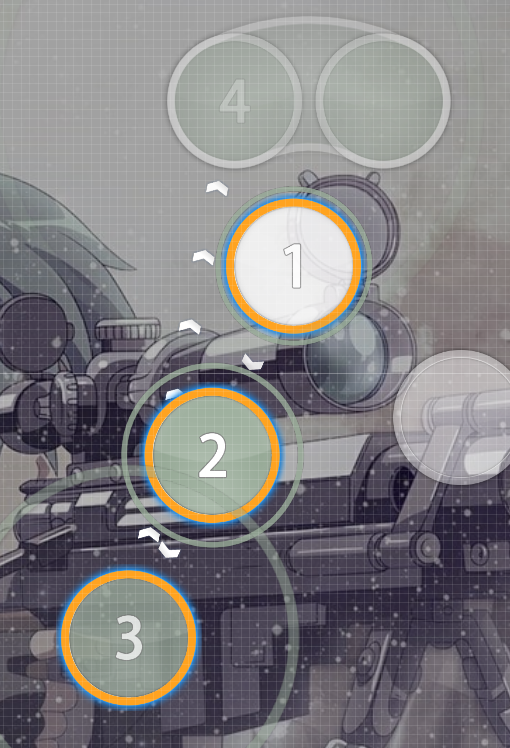 Also even if the 4 notes are the same, the sliders afterwards can designate it being different. As I am very inexperienced in anything below 4*'s, I will only be modding Insane and AWM difficulties. The issues in both insane and AWM diffs were virtually exactly the same(aside from one varient. ), so I compiled a general list for both diffs, as well as varient list(s) to keep things organized.
! = Important Issue. ! = Normal Issue ! = Minor issue. ! = Basically just nit-picking/idea, Relatively unimportant. 00:14:970 (6) - ! Circle has no sound to follow. Remove.
! This song has many different sounds in it, which opens up a lot of opportunity for creativity, but the jumps as they are now feel very rigid and uninteresting, as most of the sounds are mapped almost exactly the same as one another. This makes the mapping feel rather boring. I would suggest creating more unique patterns for each unique sound, as to make the map(s) feel more interesting and follow the rhythm better. (Theres about 3 different sounds in the kiai that make jump patterns).
! The NC's between AWM and Insane vary, even when the basic rhythm does not. this should not occur except in special cases. So I would recommend looking through them and fixing the inconsistencies. Fixing this will improve consistency between difficulties. - 00:58:470 (1) - ! This is more personal opinion than anything, so feel free to disregard it, but I find the spacing and placement of these circles rather annoying and unnecessary. it would feel better to play if it were placed in the center of the screen. HOWEVER: I'm not sure if this was intentional or not, but if the placement of the circle is meant to imply pulling the trigger of the rifle on the background, it's an interesting little touch, but I still think it's weird to play. Consider varying them in some way. IE: make it a slider like in insane, or just change the pattern to make it obviously different. The reason I make a big deal out of it is because it also clashes a bit with the rest of the mapping. Best of luck with the map. hope the mod was at least somewhat useful. 00:14:970 (6) - ! Circle has no sound to follow. Remove. Was filler rhythm, but suppose its fine without. (I.E, AWM Diff: - 00:21:270 (1,2,3,4) - 00:23:670 (1,2,3,4) - 00:26:070 (1,2,3,4) - All these sounds are different, but mapped identical apart from angle differences and slight spacing increase) Changed up the second pattern as its pretty clearly different, but the first and third are close enough to map them similar.
! The NC's between AWM and Insane vary, even when the basic rhythm does not. this should not occur except in special cases. So I would recommend looking through them and fixing the inconsistencies. Went through and normalized the NCs between these two diffs. - 00:19:470 (2) - ! This slider does not represent the sound very well. Consider 1/6 or 1/8 buzz slider, whichever one works better. (Especially considering how noticeably unique the sound is.) The 1/6th buzz could work, but Imo the slider thats here is fine as is. HOWEVER: I'm not sure if this was intentional or not, but if the placement of the circle is meant to imply pulling the trigger of the rifle on the background, it's an interesting little touch, but I still think it's weird to play. Yeah this is intentionally on the trigger of the rifle in the background. In the AWM difficulty, the 1-2 jump notes at the end are also circling around the end of the scope in the background, sort of a "zeroing in" sort of implication. Consider varying them in some way. IE: make it a slider like in insane, or just change the pattern to make it obviously different. The reason I make a big deal out of it is because it also clashes a bit with the rest of the mapping. Figured out a way that works with the map and looks good. you seem to use a lot of multi-reverse sliders (if thats what they're called lol), which is discouraged according to the ranking criteria. i would suggest you make them sliders with circles here and there. 00:11:670 (5,6) - sounds weird that you didn't map the triple. you could do something like this? 00:11:670 (5,6) - sounds weird that you didn't map the triple. you could do something like this? Either way could work, think I'll stick with what I have currently. 00:39:870 (5) - you could instead make this a 1/2 slider and a circle on the white tick to emphasize both strong sounds There isnt really any sound on the red tic though. 00:09:270 (1) - don't think a new combo here is necessary, since there isn't any sort of sv change or rhythm change Its a stylistic thing. 00:36:270 (1) - ctrl+ging this would keep the flow you've been using, +it flows nicer into the next circle I purposely broke flow here to show its a 1/2 beat gap instead of the 1/4 beat gaps previously. Thats also why its a new combo. 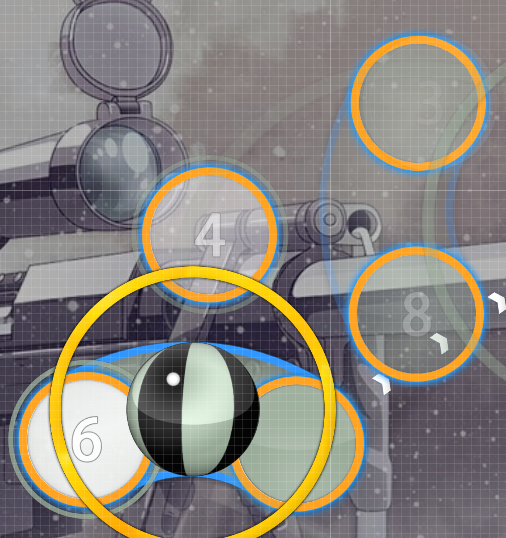 00:39:870 (1) - i get how in the lower diffs, you were using sliders instead of circles to lower note density, but i think it's more appropriate to put circles here rather than use a slider, since there's a strong sound on the tail Since there isn't a sound on the 1/2 I'd either have to have 1 beat gaps like the start of the map or I could use these sliders. I like the sliders so its different from the start of the map. 00:53:670 (1,2,1,2,1,2,1,2,1,2,1,2,1,2,1,2,1) - maybe try something other than rotating jumps lol, maybe something that builds on the zig zag back and forth jumps u do a lot I kinda want to change this pattern but I don't really have a solid idea on what to make, and I don't want to go too crazy with the jumps so there isn't too much of a star rating jump between Insane and here. 00:11:370 (4,5,6) - weird for these to be spaced whereas in awm its not Spaced in AWM instead. 00:12:120 - 00:16:920 - could use some loving on the drums Probably. Also fine as is imo. 00:23:970 (63) - This note does not seem to be needed. I'd suggest to delete it. It'll make a little break at the same time. m'yeah, pretty much nothing to see here. 00:08:070 (16,17) - since the previous two notes were kats, these two notes should not have kats also since it doesn't cover the same sounds. I'd suggest you to change them for dons instead. 00:08:670 (18,19,20,21) - if you followed the previous suggestion, this one follows it. these notes basically have all the same intonation with the gun's sound. you should try to put all of these in kats in this case. It will also make a nice transition to the next big don, which has a louder sound. 00:23:520 (71) - Same thing will apply to this note. Delete it. 00:24:120 (74) - Since you're going all in and the spread between Futsuu/Muzukashii will be an issue with this pattern, I'd suggest you to delete this note. It does not seem to be needed. 00:30:720 (102) - Delete this note. 00:31:320 (105) - This note should have a kat to follow the sound made with the next object. 00:33:870 (115,116,117,118,119,120,121,122) - This is not a thing I am suggesting at all for this kind of difficulty. Try to do something else, because it is an issue with the spread of both of your difficulties. 00:23:970 (63) - This note does not seem to be needed. I'd suggest to delete it. It'll make a little break at the same time. Yeah that makes sense. 00:08:670 (18,19,20,21) - if you followed the previous suggestion, this one follows it. these notes basically have all the same intonation with the gun's sound. you should try to put all of these in kats in this case. It will also make a nice transition to the next big don, which has a louder sound. For some reason I thought the sounds on the white/red were different from blue. Guess not, changed. 00:31:320 (105) - This note should have a kat to follow the sound made with the next object. Didnt notice they were the same sound, changed. 00:33:870 (115,116,117,118,119,120,121,122) - This is not a thing I am suggesting at all for this kind of difficulty. Try to do something else, because it is an issue with the spread of both of your difficulties. Is this in terms of the DD after the 1/6 k pattern or the 1/6 pattern itself? If this is a problem with the DD after 1/6 I can just make them dd instead (if you think that'll fix it). Please PM me when you're next online so I can figure this out. I'm not an expert on normals, and this difficulty does seem pretty nice. I think it could be interesting if you aligned 5 with 00:25:470 (4,1) - and ctrl + g'd it. I think this would give 00:26:070 (1,2,3,4) - some anticipation since the player has to slow down and move in the opposite direction of the slider to hit the pattern. 00:33:870 (2,3,4,5,6,7) - I'm not sure if I like this streamjump, it puts a lot of emphasis on 00:34:170 (5) - while there isn't anything significant there. Interesting song and pretty fun to play, good luck!